I am a massive aloe fan and I have been using aloe based gels and creams for years. I suffer with dry skin and during the warmer months I always end up with heat rashes! Whenever I go on holiday I always pack my aloe. 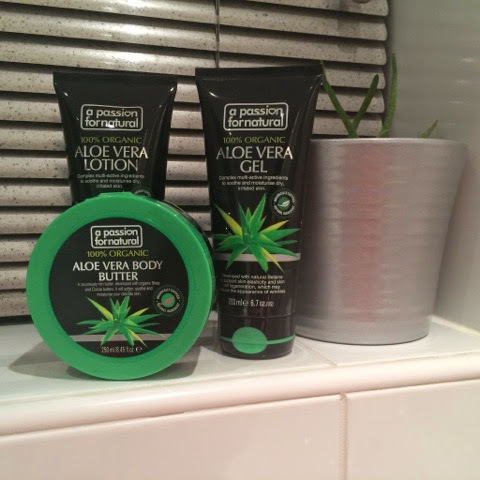 Often aloe products don’t smell the nicest but I have come across a range that doesn’t have that awful smell! I was lucky enough to be sent the above to try but I have only used the lotion as I don’t need all of them open at once. I will be saving the others to use next summer and on my honeymoon! These products can be purchased online from www.boots.com and other online pharmacies.